As part of Numatic International’s commitment to product support and machine upgrades, we have created a kit to enable you to fit the new improved floor tool lifting mechanism to existing machines in the field. The new design is more robust and of higher quality, therefore, a worthwhile upgrade to machines. 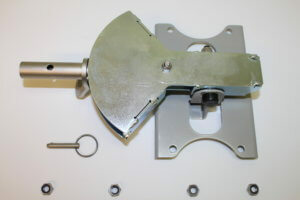 This new upgrade can only be fitted to a TGB 6055 / 6055T and can be ordered using part number 904961 TGB6055 FLOOR TOOL LIFTING MECHANISM UPGRADE KIT. This upgrade went live on machines from the serial number 1805 onwards.